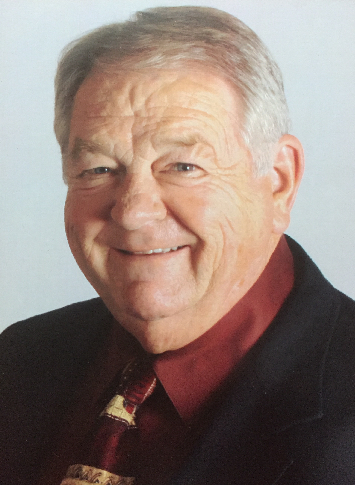 Larry Edgar Wood, 79, of Hutchinson, passed away January 30, 2019 at the University of Kansas Medical Center in Kansas City, Kansas. He was born March 30, 1939 in Oklahoma City, Oklahoma, the son of C.E. “Chuck” and Mildred Thornbrough Wood. Larry graduated from Chase High School with the class of 1957, and from Salt City Business College in 1959. He resided in Rice and Reno Counties for most of his life. Larry was general manager at the Nickerson, Hutchinson, and Anthony Farmers Cooperatives until he retired in 1996. On May 28, 1959, Larry was united in marriage with Ann Milsap in Chase, Kansas. She survives of the home. Other survivors include his two sons, William “Bill” Wood and wife Carolyn of Greenfield, Massachusetts, and Scott E. Wood and wife Lori of Cheney, Kansas; brother, Rondal Wood of Bentonville, Arkansas; sister, Barbara Thompson of Rogers, Arkansas; seven grandchildren; and three great-grandchildren. He was preceded in death by his parents. Graveside funeral service will be 2:00 P.M., Saturday, February 9, 2019 at Raymond Hilltop Cemetery, Raymond, Kansas. In lieu of flowers, memorials can be made to the Cancer Council of Reno County, in care of Birzer Funeral Home, Sterling.